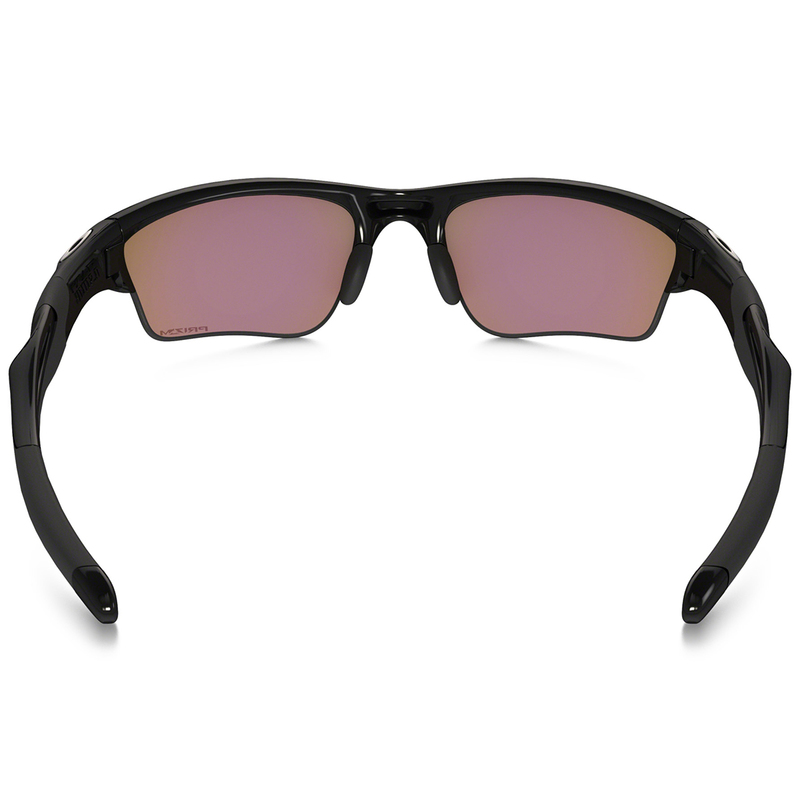 Keep up with the competition, the Half Jacket XL 2.0 sunglasses let you swap the lenses, ideal for ever changing light conditions. Once the lens are mounted, you will feel the uncompromising standards of optical clarity, visual fidelity, perfect for seeing every little detail during your game of golf. Plutonite is one of the most optically pure materials used in eyewear today, it maximizes clarity and impact resistance while filtering out 100% of all UVA, UVB, UVC and harmful blue light up to 400nm. Not a coating, the UV protection is from the lens material itself. Prizm is a revolution in lens optics built on decades of color science research. 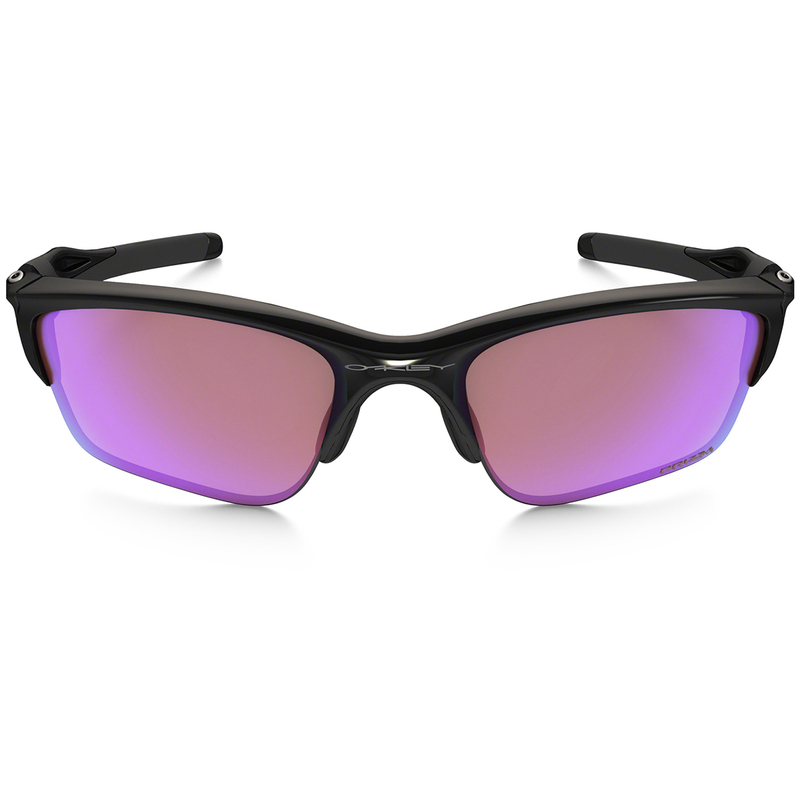 Prizm lenses provide unprecedented control of light transmission resulting in colours precisely tuned to maximize contrast and enhance visibility. O-Matter is a stress-resistant frame material that withstands environmental extremes, it is lightweight and highly durable. With controlled flexibility which further enhances impact resistance while contributing to the all-day comfort of frames. 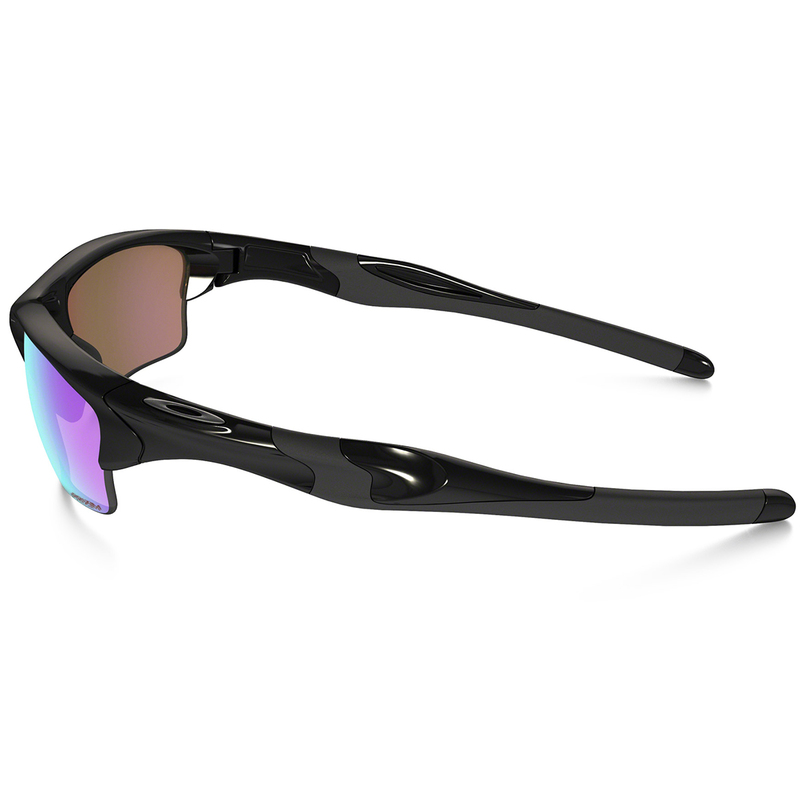 Oakley Plutonite lens material stops every wavelength of ultraviolet radiation from the sun‘s thermonuclear furnace, not just the lower energy form called UVA. Harmful rays are blocked while the visible spectrum passes through. Oakley lenses are tested under extreme circumstances to guarantee uncompromising protection against high-mass and high-velocity impact that no other lens offers. Oakley go beyond in precision, dedication and creativity to serve world-class athletes and progressive lifestyle consumers. The glasses feature a patented innovation that ensures the frame makes contact only at the bridge of the nose and the sides of the head. It holds lenses in precise optical alignment, with a secure fit that eliminates the pressure points common with frames that hook the ears. 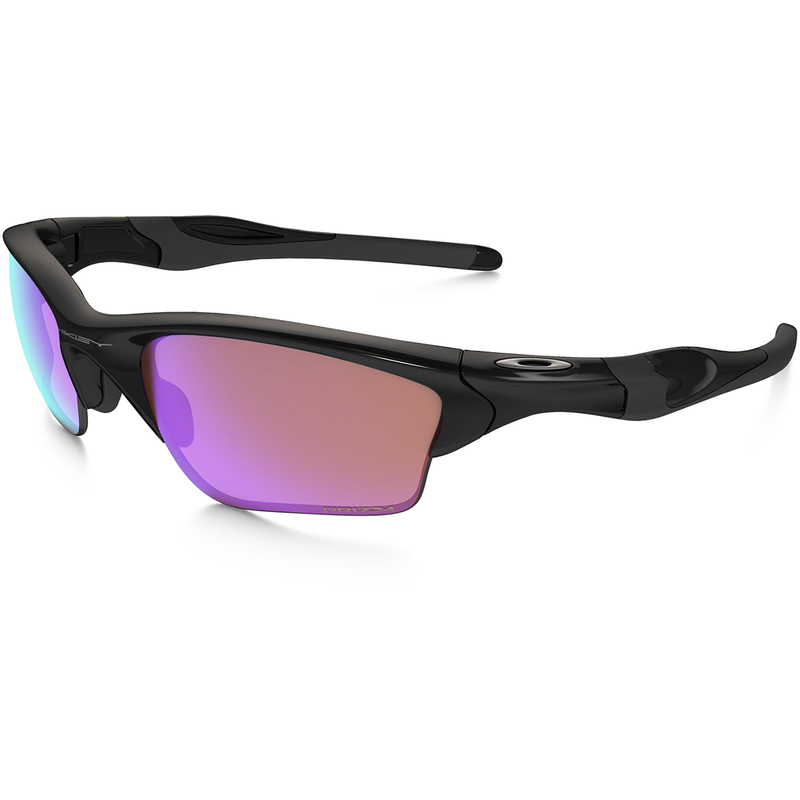 Oakley`s products and technologies don’t just provide unmatched performance and quality, they completely redefine the category.